Ucommerce includes full API reference documentation and lots of helpful articles to help you build your e-commerce site as effortlessly as possible. 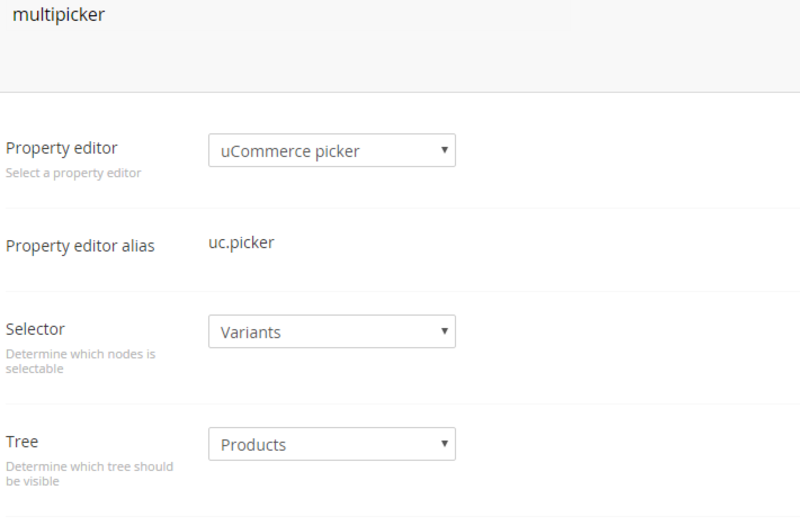 With the integration for Umbraco7 comes the ability to configure a Ucommerce picker as a property editor that allows you to pick a catalog item on your items in Umbraco. All that is required to do is to create a new data type in Umbraco and start using it for your generic properties on your document type. 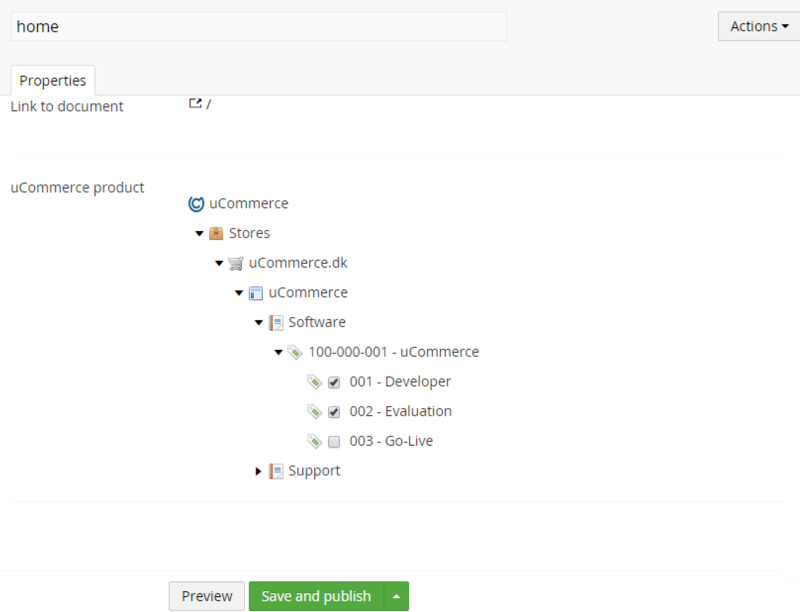 Data types can be created under the developer section in Umbraco. Right click the data types folder and click create. There's a few configuration option you need to consider that are elaborated below. Defines what node types that will be selectable. Right now they are limited to Stores, catalogs, categories, products, or variants. Determines what section of the tree that will be shown. Right now its limited to the catalog section with and without products.